The owners have loved this home and the community. 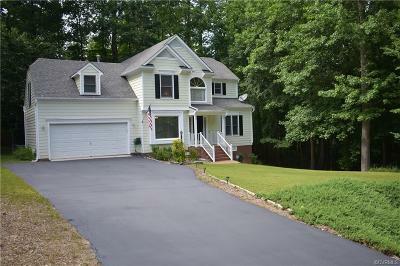 Beautiful 4 Bedroom 2.5 Bath Home in one of Chester's BEST Subdivisions. A beautiful home with a new roof (less than 2 years), new kitchen appliances, and updated hardware on the cabinets. Oversized garage now houses his boat but at 19’10” x 21’2” it is big enough for parking and having a workspace. Entertain friends in the sunroom or on the extended deck. The woodsy landscaping gives a feeling of privacy. Community pool available for a membership fee. Directions: From Harrowgate Rd: Turn Into Stoney Glen Subdivison Onto Stoney Creek Pkwy, Right On Twin Cedars Rd, 1st House On Right.